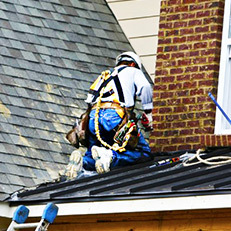 Roofing & Gutter Services for Commercial & Residential Customers in Hampton Roads & Richmond, VA.
Is it time for a new roof, or time to replace your existing roof? This is a big job, and we’d love to complete yours! 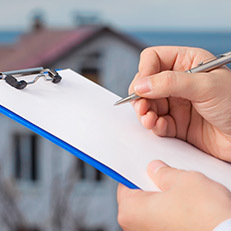 Our roofs are installed by registered Class-A contractors, and with nearly 35 years of experience, you can count on us to ensure your new roof is installed correctly. Whether you’ve got a small leak or a larger problem, you can trust our experienced Class-A contractors to get to the bottom of it… and fast! You can count on us to complete your repair to your satisfaction. Your gutters are an important part of your home’s building envelope. When your gutters are damaged, installed incorrectly, or otherwise unable to do their job, you can experience some real headaches from water and debris. Our exclusive gutter system is strong and guaranteed leaf-free. The exclusive gutter system, provided by Carefree Gutter Guard, is strong and guaranteed leaf-free....for life. No Cleaning, No Clogging, No Worries!" No matter your business or building size, you can count on the experts at Tidewater Roofing to complete your roof on time and on budget. We are Class-A registered contractors and have more than 35 years experience working on commercial buildings all over the Hampton Roads and Greater Richmond area. Whether your roof is flat, sloped, or somewhere in between, our experienced roofing contractors will determine the nature of the repair needed and get to work. We’ve repaired roofs for hundreds of businesses from Hampton Roads to Norfolk (and everywhere in between). Your gutters are an important part of your building's roof. When your gutters are damaged, installed incorrectly, or otherwise unable to do their job, you can experience some real headaches from water and debris. More than 35 years of experience make us your service experts! Our contractors work all year round and can accommodate your schedule. 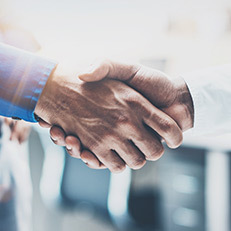 Our industry-leading warranties mean your investment is protected. Founded in 1982, we grew from operating out of a garage to one of the area's largest roofing companies! Since first opening our doors in 1982, Tidewater Roofing has had the pleasure of working with thousands of Virginian homeowners and businesses. Since 1982, we have worked on more than 60,000 roofs! 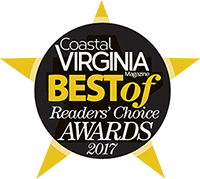 We are proud of our reputation as one of Virginia’s best and hardest working residential roofing contractors. From small repairs to full-blown replacements, you can count on our certified and trained professionals for repair, installation, and service work. 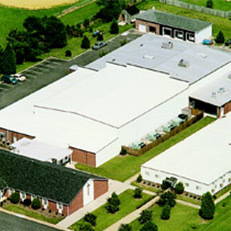 Tidewater Roofing has been Hampton Road’s go-to commercial roofing company for over 35 years. Our contractors have experience with all types of commercial roofing, specializing in flat and low-sloped roofing projects. 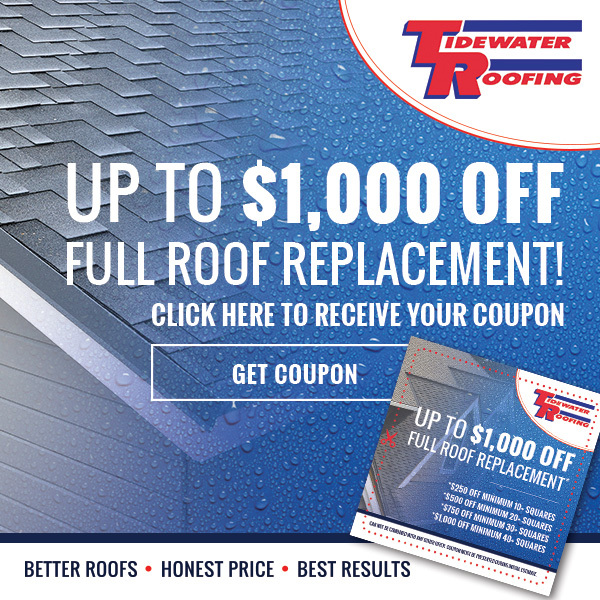 With an industry-leading lifetime labor warranty on residential shingles and various manufacturer warranties, Tidewater offers better protection than any other roofing contractor. The excellent warranties we provide our residential customers also come standard with our commercial services. When our estimators provide you with a quote, that’s the quote we’ll stick to! Unless the scope of the job changes, what we quote is what you pay.